Whenever a search and rescue operation is initiated, time is of the essence. This is especially true of maritime SAR where a difference of minutes can mean a life is spared or lost. Bordered by three oceans, Canada has one of the world’s most-challenging marine SAR regions. 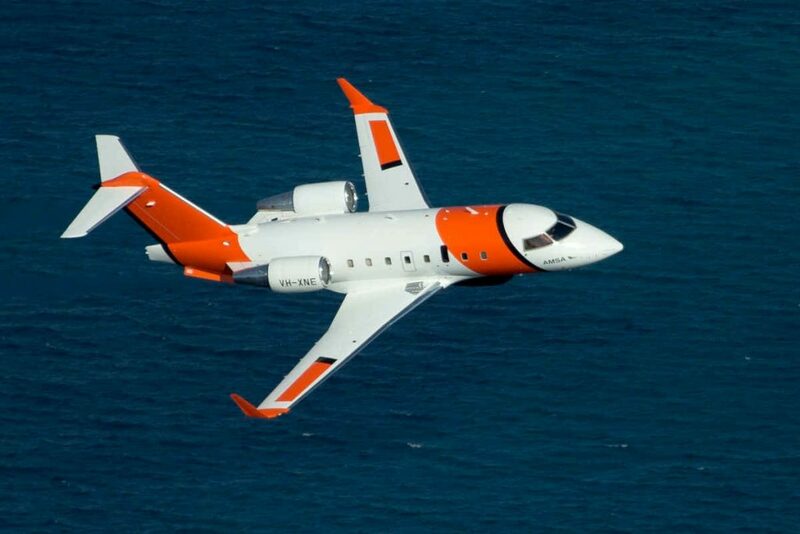 ViDAR is in service on Australia's Challenger 604 SAR aircraft for wide-area search. Canada also has more ice floating on its oceans and waterways than any other nation in the world. It comes as no surprise that maritime SAR incidents occur on every coast, every day, in Canada. According to sencanada.ca, on an average day, 27 SAR incidents occur, 15 lives are saved and 52 people are assisted because a vessel runs aground, takes on water, capsizes, is lost in fog or on fire, needs medical assistant or someone goes overboard. In 2017, 62 per cent of a total 10,003 SAR calls were related to maritime incidents. As arctic waterways open up – and new commercial shipping routes and cruise ships access the Northwest Passage, maritime SAR incidents are sure to rise. Finding small objects in open ocean in high sea states continues to be a challenge even for the best maritime radars. No maritime radar in the world today can find people in the water during high sea states. Even where a person is carrying a transponder or electronic beacon, geolocation inaccuracy still leaves searchers with a large area to scan using the human eye. Planes must painstakingly track back and forth across a search area to ensure they do not miss anything or anyone. New advancements in optical radar are revolutionizing the time it takes to recover people lost at sea. With upcoming upgrades to the CH-149 Cormorant helicopter fleet, Canada will be in an ideal position to test and deploy this technology in the next few years. Using high resolution imagery to scan the ocean is not new, but a high-resolution optical surveillance system called ViDAR, is shaking up the world of maritime SAR by finding everything on the surface, including objects too small for the human eye to detect. Software powering the system leverages an autonomous learning algorithm that can analyze the ocean, understanding how the ocean changes and how the sun reflects off the water. It identifies anything on the surface that is distinctly different from the natural environment. It learns how sea tides move and evolve, unaffected by white caps and other effects that impede radar. ViDAR can detect small objects with no prior knowledge of location points. It sends a thumbnail and location on a map to the aircraft’s mission system where operators can view it, determine their interest and, by selecting the object, can then initiate a slew to cue of an inspection turret for closer investigation. Detection to classification takes only a few seconds even in challenging weather conditions and ViDAR can distinguish people in the water from vessels and items such as rubber rafts, fast boats and fishing trawlers. With a special SAR mode of operation, only objects relevant to a SAR mission are called out and identified to operators. This helps reduce the incidence of objects being investigated that are legitimate but not relevant to the mission at hand – dramatically reducing response time to rescue. With its optical capabilities, the system allows for a much wider area to be surveilled. The CAMSAR Canadian SAR manual defines a sweep width of 0.1 nautical miles when conducting a visual search for a person in the water. ViDAR configured to search for the same person in water from the same helicopter operates with a sweep width of 3.2 nautical miles, enabling more than 30 times the mission area coverage. In other words, ViDAR can find people in the water more than 30 times faster than other available methods. The technology is being used in various applications, installed in both unmanned and manned aircraft. The Royal Australian Navy is flying it on a Boeing Insitu ScanEagle UAV as a wide-area-search capability for general maritime domain awareness. It has been used in illegal counter immigration efforts in Australia and routine naval activities in the Middle East. Beyond search-and-rescue and counter-narcotics operations, potential applications include maritime security, illegal fishing, counter piracy, illegal immigration and pollution monitoring. ViDAR has since been installed on ScanEagles operating from one of the USCG’s high-endurance National Security Cutters, the Stratton. It has aided the interdiction of several small go-fast boats that smugglers were using to move $700 million worth of cocaine from Colombia to an offload point. Finally, ViDAR is now in service on the Australian Maritime Safety Authority’s Challenger 604 SAR aircraft, tasked to find life rafts and people in the water around Australia’s vast search and rescue region. Attempting to get greater range with aircraft is vital in Canada because of the massive coverage field – more than 18 million square kilometers of land and sea – and a complex environment. Adapting tech to work more effectively in challenging conditions and enabling aircraft to operate for longer periods of time are essential objectives for the optimization of this technology. It entails being more efficient with fuel outputs and reducing the size and power of technology onboard to enable the plane to fly further. A small footprint is important to provide a payload-friendly, cost-effective solution that is easily integrated with existing airframes and compatible with commercially available sensors. ViDAR comes with compact Canadian-made processors, hardware and cameras, enabling SAR personnel to see further and longer and process more data faster. All of that adds endurance and range to the helicopter to rescue people lost further away at sea. Simon Olsen is director of business development for Sentient Vision.